This card set is perfect for classes, workshops, meetings, etc. Provide potential members with a card set — go through the cards — hold a mini-class while standing in line at the grocery store, hardware store, sporting events, or wherever and opportunity presents itself. Give them out during classes/events/meetings. Great incentives to purchase the Infused 7 Collection. Bonus — they are inexpensive to make! You can click/touch the names of each item (cards and binder rings) above to purchase directly from Amazon (shipped directly to your door and the price is not bad at all). You’ll also need a one-hole punch. It took less than a minute to punch holes in one set and put them on the binder ring! Easy. Create about 20-40 sets to start with and then just replace as necessary. There are THREE pages of cards — the last card is for your contact information — type it in, if you know how — if not stick a label on it or staple your business card to it — either way will work just fine. Please do not alter the cards, remove the disclaimer or the copyright information. These are free to use but no one has permission to sell the card pages, or sell card sets. Please give credit where credit is due and refer members to this page if they would like their own pages to make the card sets. While you’re here we would love to have you visit our RESOURCES page. 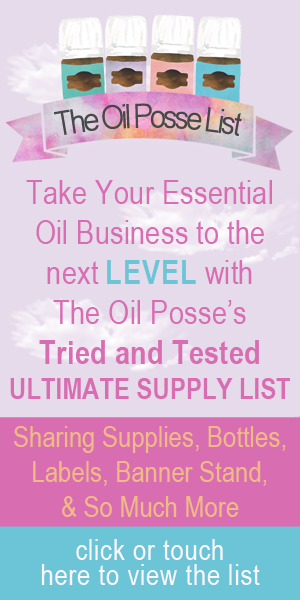 This entry was posted in Card Sets, Essential Oils, Family, Marketing Material and tagged Card Set, Infused 7, Marketing Materials, Oola, Oola Life, The Oil Posse Team, Young Living on June 18, 2015 by Jordyn Lei.